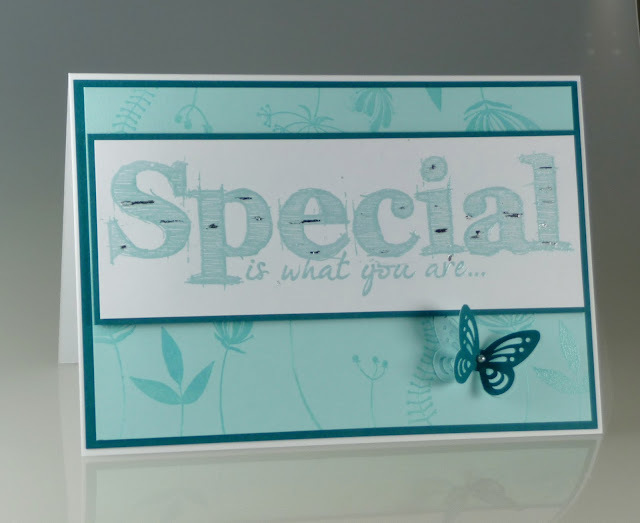 I like the sentiment of this stamp - Woodware - because it's not just something for birthdays. The only downside is that it is very long, just about 8 inches I think, and I can't find an acrylic block that fits it! I used a newish, flat, Cuttlebug plate in lieu of a block. 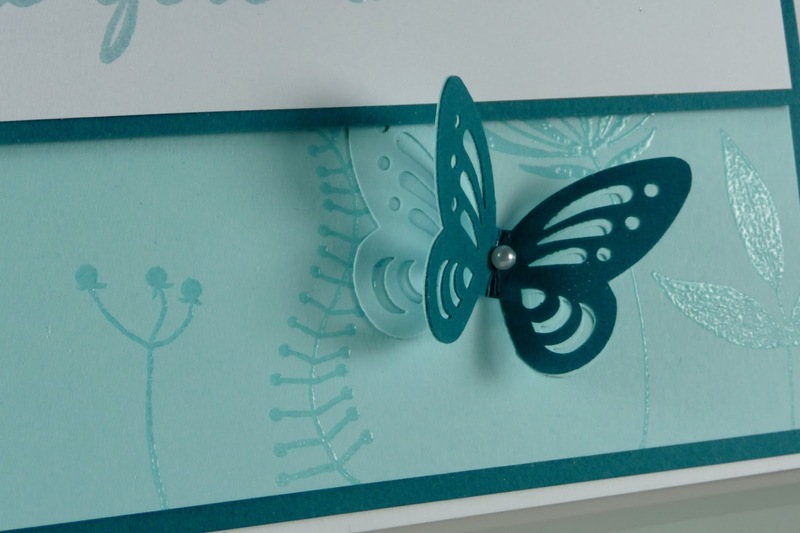 The leaf stamps are also by Woodware, I've used Versamark and clear embossing powder. To liven up the sentiment I drew rough dashes with a 2-way glue pen, waited for it to go tacky, and placed foil over the top. 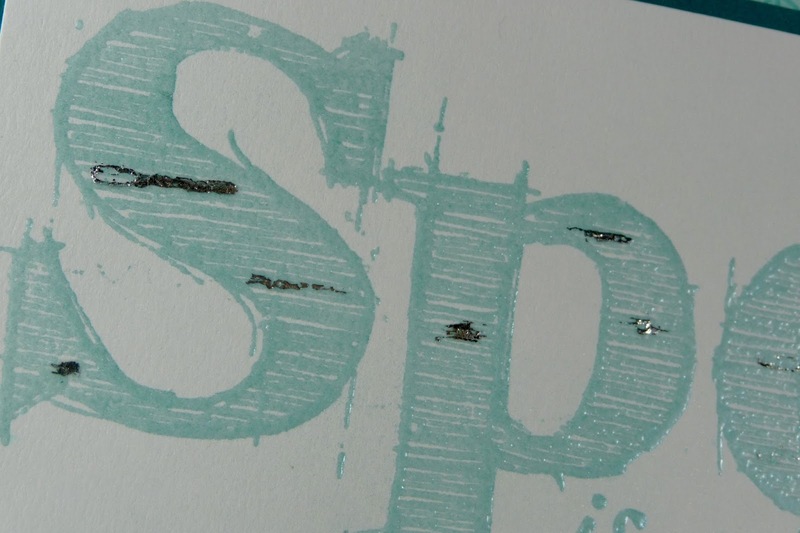 The foiling isn't perfect but with the stamp being a 'scribble' style anyway it doesn't matter. I know there are foiling machines on the market now but they all seem to need a laser printer, think I'll stick to the glue pen!